Welcome to the home-stays where you find yourselves being guests of the gods; where hospitality does not begin and end merely with food being served to you and a room provided; but where families share their time and lives with you. Where your privacy is respected but where you are invited to spend time with our families; and get to know them. They would love to know you too. 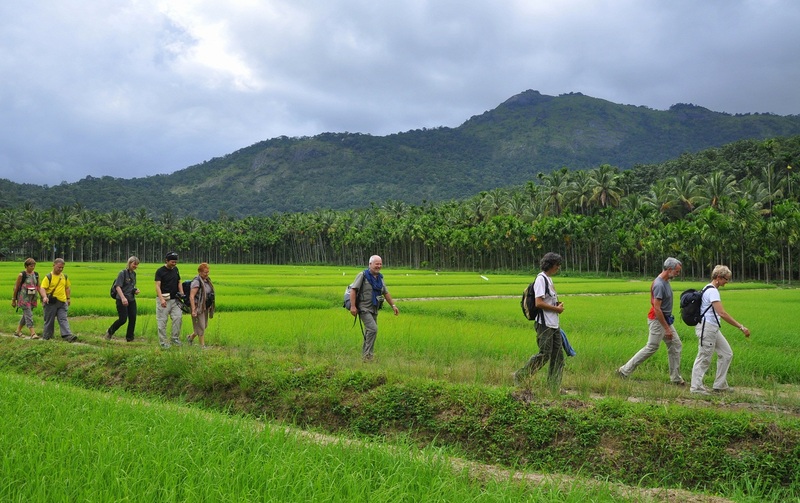 The “Bambou Village” concept was initiated by URAVU*, to create a more sustainable community and future for the villagers, in Thrikkaipetta, Wayanad. Tue program includes the establishment of sustainable rural micro enterprises, organic farming, waste management and sustainable energy systems, an annual Jackfruit Festival and a community tourism initiative. The tourism initiative of the “Bamboo Village” was developed in their partnership with Kabani and the Village Community. Today, the “Bamboo Village” welcomes visitors to stay in an enchanting village, live with local families, in houses surrounded by captivating mountains, plantations and wildlife. Tourism here is aimed towards an additional income for local people and developing a community fund that allows continuous improvement of the village.